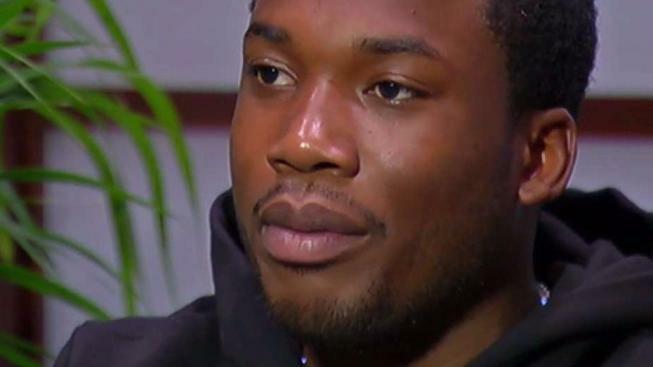 Rapper Meek Mill's fight for bail is heading for the Pennsylvania Supreme Court. And Philly's DA says he's not opposed to Mill leaving prison. The fight over rapper Meek Mill’s prison sentence has reached Pennsylvania's highest court. The Philadelphia District Attorney’s Office filed a motion Thursday to the state Supreme Court reiterating that it does not oppose Mill being released on bail, a position the office first shared with NBC10 last month. The rapper, whose legal name is Robert Williams, was sentenced to 2 to 4 years in prison in November of 2017 for violating his probation after failing a drug test, traveling out of the region and getting arrested for fighting and other related offenses. Attorneys representing Mill have filed several motions to release the rapper from prison, accusing the judge overseeing his case of harboring a grudge and even being infatuated with the 30-year-old. “We are encouraged by the Philadelphia District Attorney’s steadfast stance in not opposing Meek Mill’s release on bail at the Pennsylvania Supreme Court level while the current legal proceedings continue, even in light of Judge [Genece] Brinkley’s vindictive and erroneous decision,” Joe Tacopina, Mill’s lawyer, said in a statement. "Instead of simply complying with the terms and conditions of his probation so he could finish out his sentence and continue to work, [Mill] continued to disregard this Court's directions and did whatever he wanted to do," she wrote. Meek Mill was initially arrested in 2007 on drug and weapon violations. He went to jail and was released on parole in 2009 after serving six months. While on parole, he tested positive for drugs, left the city without permission, engaged in a fight in the St. Louis airport, and illegally operated an ATV on the streets of New York City.